The advisor determines the flat and sets the order opening levels. It is built on a template using an advanced grid algorithm and a function of protection from increased volatility during the news release. Applies invisible for the broker dynamic levels of setting new orders, stop-loss, take-profit and trailing stop. 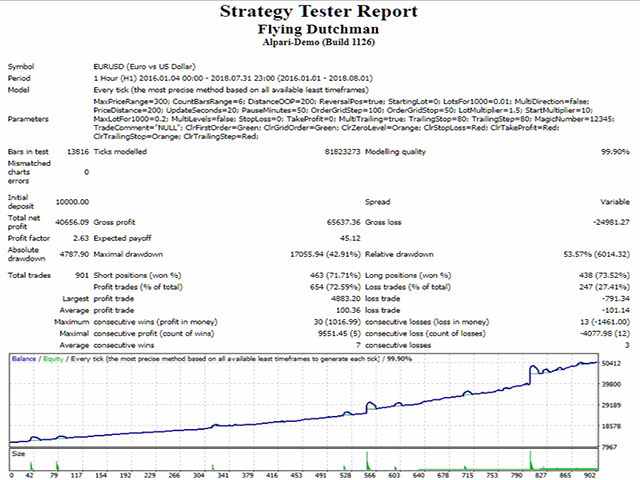 If you set MagicNumber = 0, then the expert can be used in semi-automatic trading. You can open the position manually, and provide support for the position to the expert. TradeComment - comment to the transactions.